At the forefront of innovation and design EOS CONTROLS has developed the most intuitive and flexible HOME AUTOMATION system in the market today. With millions of dollars invested in Research and Development alone, every EOS CONTROLS HOME AUTOMATION system is custom configured to control any home or office seamlessly. Supplying HOME AUTOMATION solutions to some of the worlds most exclusive resorts, hotels, homes and businesses, EOS CONTROLS offers next generation technology and functionality. Once your system is installed and programed your are done and ready to use, never a recurring charge. 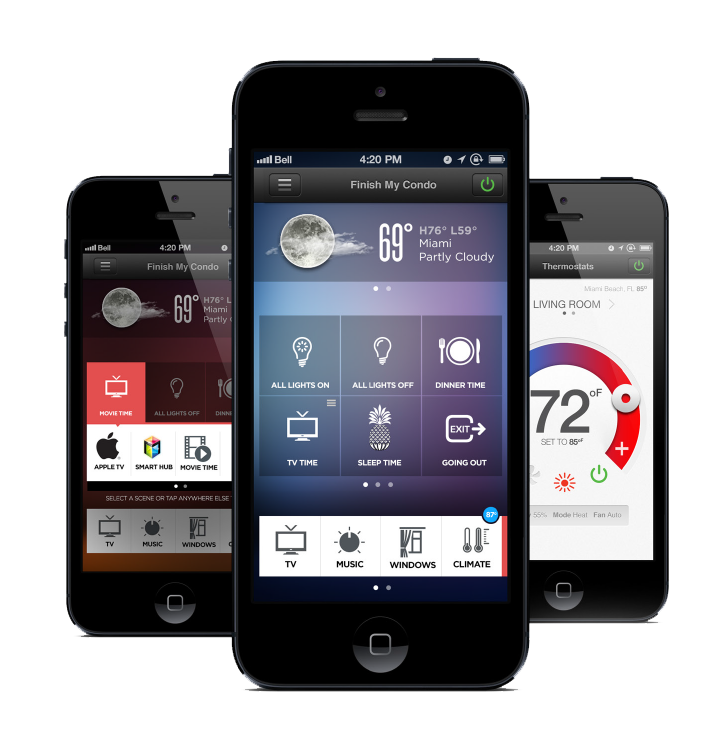 Really gives you the ability to control everything in your home, effortless and simple. You can always add new devices and new technology as it becomes available, and as you wish. EOS HOME AUTOMATION offers the ultimate home automation solution by making the electronic components and systems you already use on a daily basis work together, seamlessly. By integrating everything from lighting, music, video, climate control, security—even smartphones and tablets—EOS HOME AUTOMATION creates personalized experiences that enhance your life and work with added comfort, convenience and peace of mind. All in a easy to use intuitive solution that allows you to customize all the settings and make changes yourself at anytime. The easy to and already familiar intuitive operability of the iPad® and iPhone® makes it a breeze to use and you don't need to learn anything new. From the moment it is installed you will be able to control anything in your home with in minutes of using it. No hard to learn screens or tasks at all, and you can create your own scenes and series of commands without the need of specialist coming to your house. That is the simplicity of EOS HOME AUTOMATION. © Copyright 2014 EOS Controls LLC.